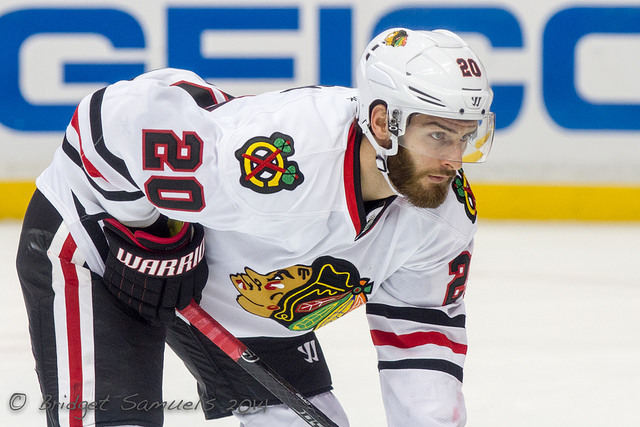 The Chicago Blackhawks have dealt Brandon Saad to the Columbus Blue Jackets In the 7-player swap. The deal sees Saad, forward Alex Broadhurst and defenceman Michael Paliotta traded to Columbus in exchange for forwards Artem Anisimov, Marko Dano, Jeremy Morin and Corey Tropp and a 2016 fourth-round pick. This trade comes as a complete shock, the whole hockey world is surprised by this move. 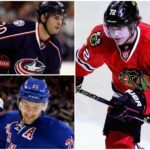 For my money, Brandon Saad Is one of the most exciting young hockey players in the NHL I seen him as a player who could take over from some of the older core in Chicago very easily. This movie is very puzzling, because if it was about salary-cap why are the Blackhawks taken on Artem Anisimov Who’s slated to make over $3 million next season. 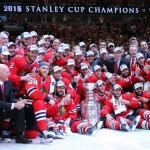 Saad is a 22-year-old left winger, With 52 goals,126 points In 208 NHL games. Speculation is the restricted free agent is in line for a massive offer-sheet tomorrow. Hence the reason the Chicago Blackhawks made the trade. I know I would offer-sheet Saad If I was given the opportunity, with this in mind, Chicago did not do all that bad. I am especially high on 20-year-old Marko Dano The former first-round pick can do a little bit of everything.